It´s here, episode #3 of my new podcast series. I am deeply committed to present you different people each week. People that are well-known as well as those from next doors. People that make a big difference in their world. I admittedly felt pretty excited and nervous before talking to Charlie Engle, known as the "Running Man", his best-selling book. I had read it prior to our call and felt deeply touched to what extent and in how much detail Charlie describes his personal story. He´s the sort of person I´d say most people can relate to in many ways. 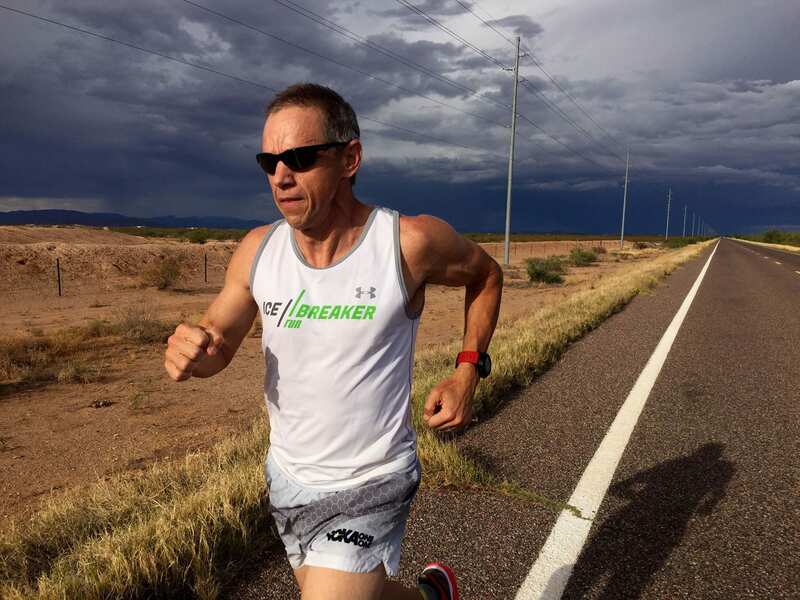 It goes beyond the remarkable accomplishments of his running career such as the Raid Gauloises, Running the Sahara covering 4500 miles in 111 days, his famous run across America, multiple top finishes at the 135-mile long Badwater ultra marathon and running the 4 deserts race.It´s the story of a man with a heart of gold. Somebody who truly lives by his values and continuously strives to be a better father, husband, son and athlete. More than once, he´s looked death in the face and turned things around for the better, until in 2012, he was sentenced to 18 months in prison for a wrong reason. The thing that struck me, too, was how he looks back on his life and says, he´d wish nothing away and would do it all again. Suffering has certainly been part of Charlie´s life´s plan. Since he came out of prison, he hasn´t stood still. If anything, he´s grown stronger and says about his quest as an author that it was harder than running an ultra marathon. While his pursuit for the next extreme challenge is in the making, Charlie is also engaged in keynote speaking.He claims it´s never the circumstances that make or break you. It´s how you respond to a situation. The power is in the knowing that you always have a choice! Please enjoy the episode and share what you took away from the conversation. Learn more about Charlie´s mission on his website where you can also order the book "Running Man" and the movie "Running the Sahara". Also check out Charlie´s profile on facebook and instagram. Running Man is also available on amazon.